Hey everyone! I'm making it my mission to post 3 times tonight, even though it's nearly 1am, I am determined that review week will be over and done with by the time I go to bed, but if not then tomorrow morning will see the last of the posts. I bet you're all glad to see the back of it with the amount I've been moaning! I promise I'll be much less moany next week. Anyway, Day 5 is a couple of polishes from Carabella Lacquer. I won these in a giveaway Lucy from Lucy's Stash held in February. The polishes were created especially for the giveaway so I was extremely thrilled to have won them, and they're absolutely gorgeous. The colours are really unique and brilliant quality. I hadn't heard of Carabella Lacquer before trying these but if they're anything to by then this brand is definitely one to check out. You can see her etsy store here. 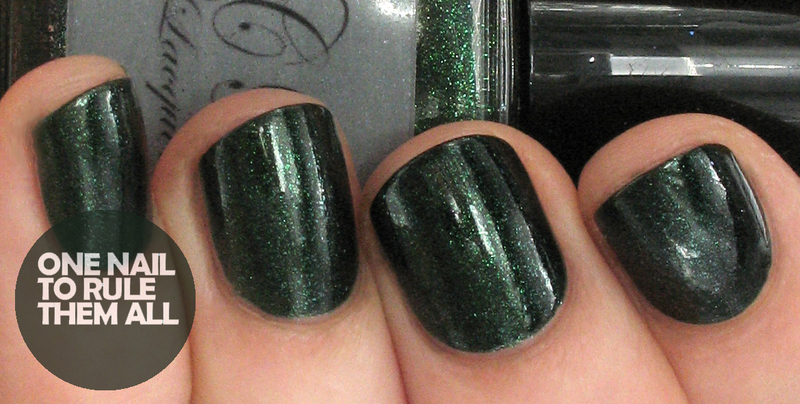 Hitchhikers Guide to the Galaxy is a gorgeous deep glittery green. This was 2 very easy coats, really smooth and simple application. Shown without topcoat and it's so shiny and glittery, I'm absolutely in love with this colour, you'll definitely be seeing it at christmas I should think! The Answer is 42 is a mint creme with golden glitter specks. The wide brush on these made application really easy, and this was just 2 coats. 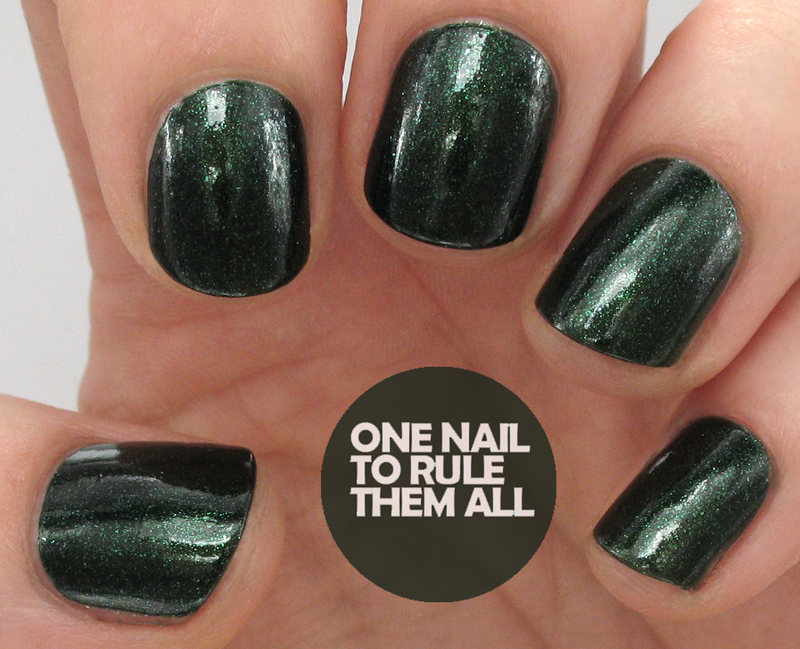 It's quite a gritty polish due to the glitter so below is shown without topcoat, and then below that is with topcoat. The gold glitter does still show up with topcoat even if the photo doesn't show it. What do you think? Let me know in the comments! I absolutely love to read all your comments, they make my day! So please do not hesitate to tell me what you think, but I ask that you don't link spam to your blog in your comment, thankyou so much everyone! $30 Born Pretty Store GIVEAWAY!